In my quest to be more consistent, it's a struggle! Yes, I've been more consistent with posting to my FaceBook page but not so consistent on updating my blog. I'm working on that. Today I'm sharing a project that was made at this month's classes (Stampin' Escape and Stamp Club). We used that stamp set 'Birthday Wit'. 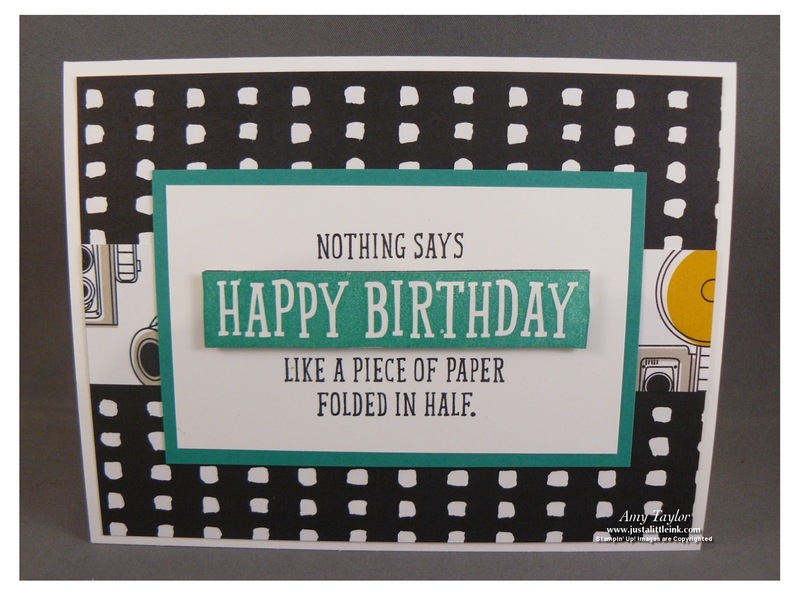 It was one of the first stamps in the Occasions Catalog that I felt I simply must have. It makes for quick and simple cards and many that would be perfect for that fella in your life. 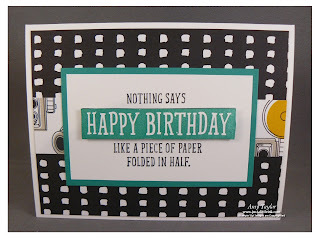 Birthday's are something that we always need cards for. I hope you will find time this week to make a birthday card. If you do, why don't you share a photo of it with me? I'd love to share. I do need to mention that I cased this idea from a fellow demonstrator, Kelly Kent. Thanks, Kelly!